Who doesn’t like seeing a new update landing on one’s phone? Since past few days, the software upgrade widget on my phone has been assuring me of an availability of a new update. Sadly though, seems like my device is long back in queue. I wonder when the software update would finally land on my phone. But anyway, here’s a news about a big update that’s arrived last week, for Windows phones. Yes, Windows Phone 8.1 is here. I had the opportunity to watch it in action a few days ago. And I must say, I was much impressed. 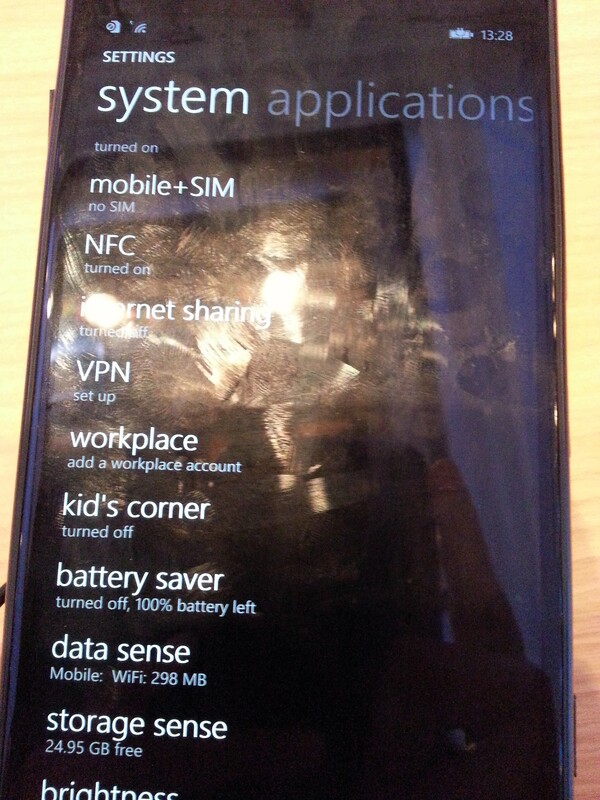 I, anyway, quite like Windows phones. Among the windows phones that I have tried, I found them quite swift, stable and the various features of the device very well-integrated. The only thing that I did not like about windows phones was that I could not set up beautiful wallpapers on homescreen and use handy widgets. Well, Windows Phone 8.1 supports wallpapers or backgrounds, and of course the live tiles are like widgets too offering all sorts of handy information as they do. Another big news is the introduction of Cortana, that is Windows Phone’s very own digital assistant that can perform searches, remember things for the users and carry out various other functions in the device following voice commands. Cortana is powered by Bing and has been designed to ‘learn’ about the user’s needs and preferences and respond accordingly. Cortana will first be launched as ‘Beta’ in U.S. and then will be made available in UK and China. Its arrival in India, however, might be only in 2015. Besides Cortana, there’s lot else that’s new in Windows Phone 8.1 and which, thankfully, won’t be restricted to only limited markets. In fact, the upgrade to Windows Phone 8.1 would arrive to all Windows 8 devices, no matter what the price point. How I wish I could see that happening in phones of other operating systems as well! Customizable Backgrounds: So far, customizing of the start screen of Windows phones was only limited to moving the tiles around and changing their colours and sizes. But now, with Windows Phone 8.1, users can also set up backgrounds. Setting up of backgrounds would turn some tiles transparent, still keeping the names and information displayed on them clearly visible. Not all tiles turn transparent though, so the background is never completely visible. But as the user scrolls the tiles up and down, bits and pieces of it appear through the transparent tiles. That isn’t quite the same thing as viewing a complete picture as a background, but still looks quite cool as an effect. Three column layout on all screen sizes: The users of Windows Phone 8.1 can now have a three column layout on their start screen, no matter what their screen size. This would definitely help in providing more information at a single glance and reduce the need to scroll up and down the start screen.
. In short, much like the Notification panel in Android, the Action Centre in Windows Phone 8.1 provides a quick shortcut to various settings and app notifications that need to be acted upon. Word Flow Keyboard: As far as my experience goes, there really is no faster way of typing on a touch screen yet then using the keyboards that allow the finger to slide from one letter to the other to form words. And Windows Phone 8.1 comes equipped with just such a keyboard. What I liked best about this keyboard was the ease with which it predicted even Indian names and words and intuitive suggestions that it offered for the next word. The keyboard familiarizes itself to the user’s writing style and the names in the device’s contact lists and uses this information to offer more apt word prediction. And according to Microsoft, Word Flow with shape-writing capabilities is the fastest keyboard ever for a smart device. Senses: These are a set of some features that seek to help the users get the best out of their Windows phones by helping them save on data, get maximum life out of battery and use the storage of the device in a better way. There’s a Data Sense which can help the user track the usage of mobile data and check out which app has used what amount of data. It can help in limiting data usage and its ‘High Savings’ mode can also effect the compression of images while browsing the web to further reduce the data usage. Another Sense is the WiFi Sense that can automatically connect the user to any available free public hotspot in the surrounding. Using this sense, the user can also choose to automatically share their Wi-Fi connection with their friends. For example, when you share your home’s Wi-Fi connection with your friends, they can automatically connect to your home’s Wi-Fi when they visit you, without even knowing your password. 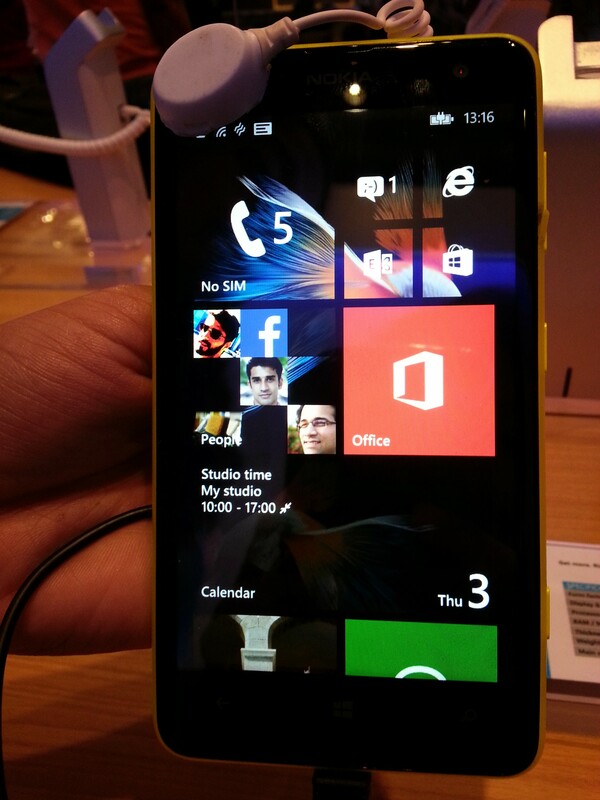 Of course, those friends would also need to have the supported devices, that is, devices with Windows Phone 8.1. Another Sense is the Storage Sense which helps the users see how much storage space individual apps are using and also to transfer apps to the SD card to free space from the device storage. Finally, Battery Sense gives information about the battery charge and helps the user to get the most out of the battery when it’s running low. Sync between various Windows Devices: One of the things that make smart devices smart is the ease of syncing them with other devices. Whether its syncing of contacts, email accounts, music services, online photo albums etc. Any user who really knows how to use a smart device cannot now complain of loss of data and contacts list due to damage or loss of a device. Because all the data can now be easily synced across various devices and cloud services, and can also be remotely controlled and wiped out if the need comes. 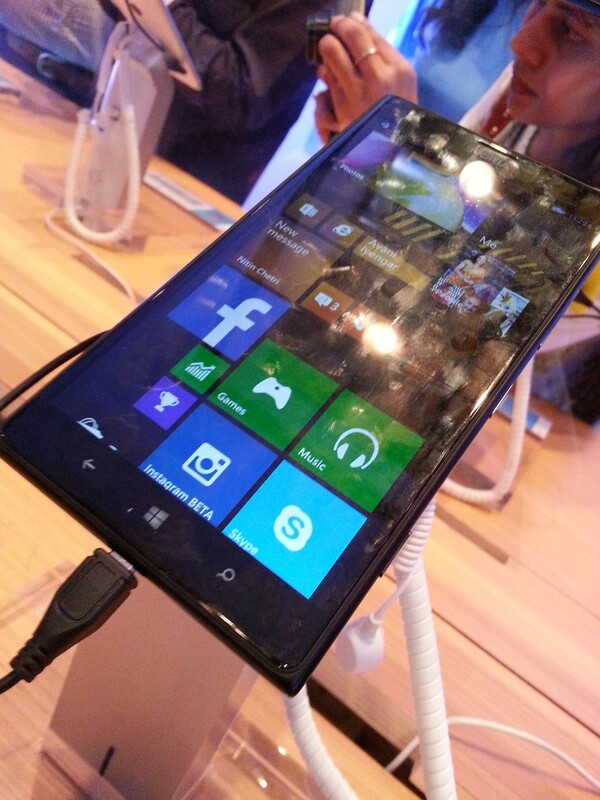 Windows 8.1 enhances the syncing ability of Windows Phones with other devices. Users can now sync their web browsers across devices, including accessing the tabs opened in one device from another device. That is, if a user is browsing web on a Windows computer, he or she can continue browsing the same sites on a Windows without any difficulty. Also, if a user changes the colour of tiles on Winodws 8.1 phone, the same setting gets synced to the user’s Windows computer too. And of course, the various files that a user might have on one device can easily be accessed on the other device using cloud storage services. Transfer Calls to Skype: Another feature that I really liked was the integration of Skype right into the dialer. Users can now more easily connect with their contacts using Skype. What’s more, even when one is on a normal voice call, it can be easily switched over to the Skype call right from within the dialer. So these are some of the new features that I liked best in Windows Phone 8.1. Of course, most of these features would sound familiar to Android users. But it’s great to see Windows Phones getting all these features that so much add to the convenience of using smartphones. 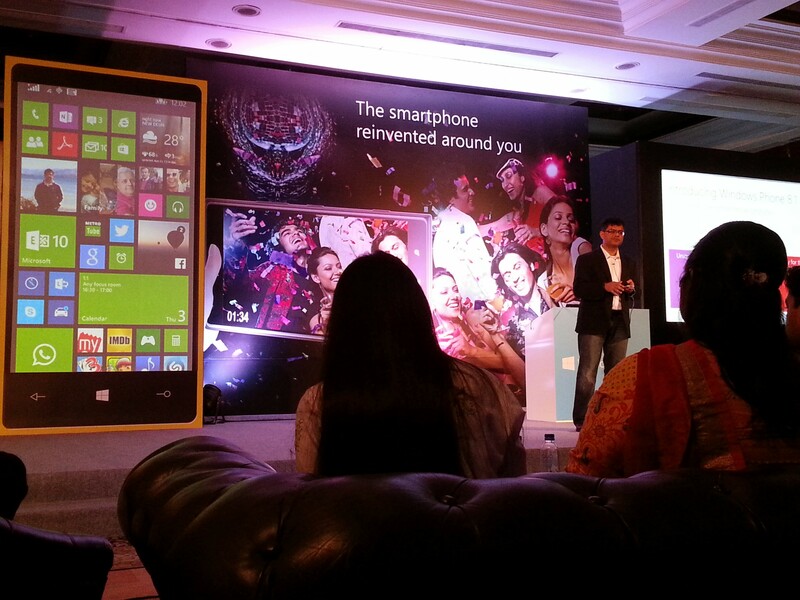 All Windows Phone 8 devices (across all price points) will start getting updated to Windows Phone 8.1 soon. And all new Windows Phones would come pre-installed with it. The beginning of that has been made with Nokia’s Lumia 630 and 635 and Lumia 930 that were announced recently.